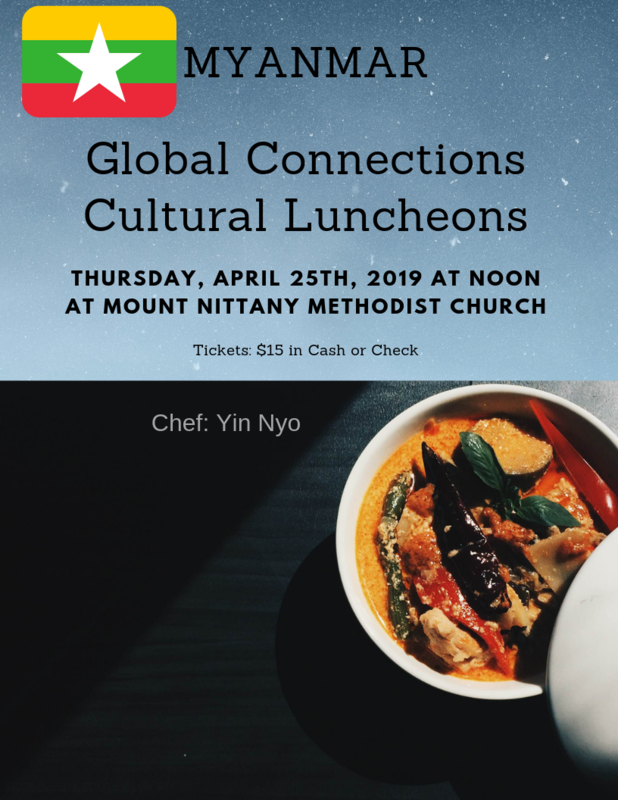 The cuisine of Myanmar is not as popular in the United States as it is the culinary of its neighbors Thailand and India. This is why we wanted to bring exquisite treats of Myanmar (also known as Burma) to our GC table. 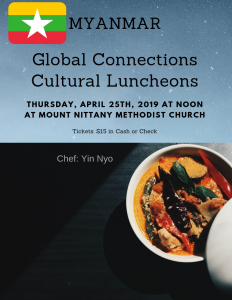 On April 25th, you will taste a mixture of exotic flavors such as coconut and curry combined with the core ingredient of the Myanmar Cuisine, rice. We are looking forward to enjoying with you about the culture of Myanmar!